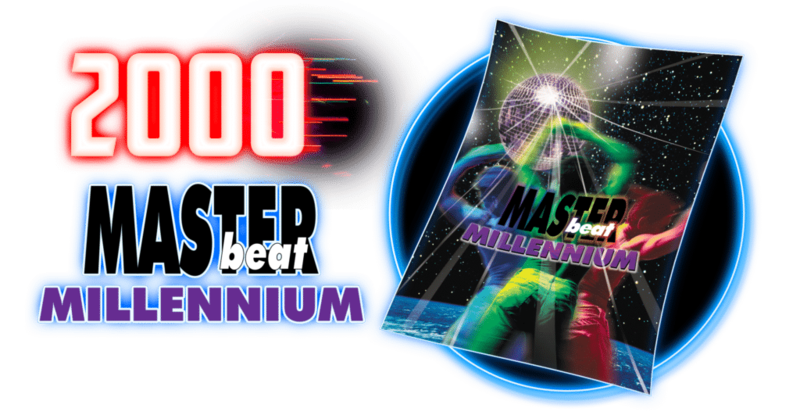 Masterbeat was born in 1996 as a tool to provide DJ’s and dance enthusiasts with club hits previously available only on 12″ vinyl record so that DJ’s that were moving towards CD’s would have access to the tracks and club enthusiasts could “take home the music” they were hearing on the dance floor but unable to obtain on CD. In 1998, Masterbeat produced it’s first club event ‘Masterbeat: The Club” at the legendary Los Angeles nightclub “Probe.” The first Masterbeat club events featured music only found on the Masterbeat CD’s with titles of every song, artist and mix projected on giant screens throughout the club. As Masterbeat The Club outgrew the Probe, it moved to larger venues like Circus. On December 31, 1999, the first Masterbeat New Year’s weekend launched in Palm Springs to celebrate the turn of the millennium. 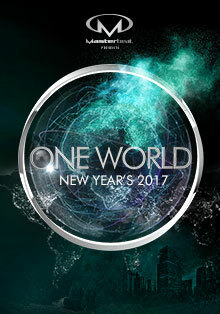 The event was joined with a live video feed to Jeffrey Sanker’s “Miami Millennum” event occurring simultaneously so that party goers could celebrate the new millennium together. Masterbeat’s legendary “Countdown” debuted with a 10 minute video tribute to the past century. 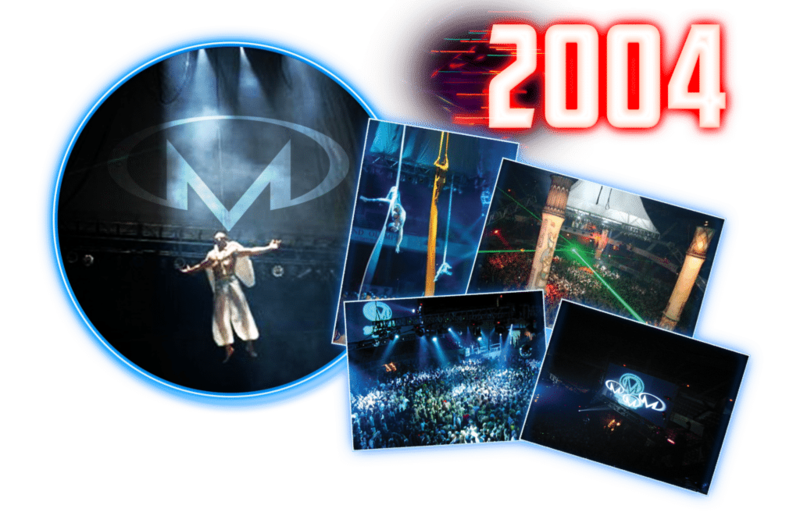 While the rest of the world sat worried what could happen with the infamous predicted “Y2K” disaster, thousands of partiers danced at Masterbeat’s first giant production which has gone on to be the largest recurring New Year’s Eve event in the world. 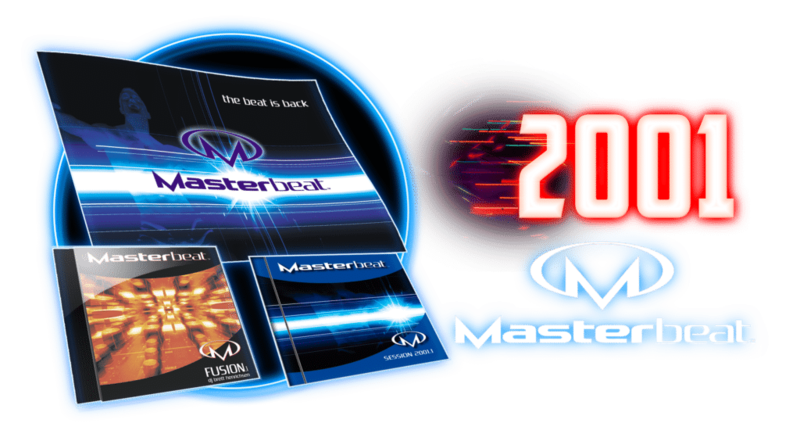 In 2001, Masterbeat re-launched it’s popular CD’s with a new series of mixed compilations of current dance hits by various DJ’s, including official CD’s for top dance festivals such as White Party, Winter Party, Black & Blue Festival and Gay Days. 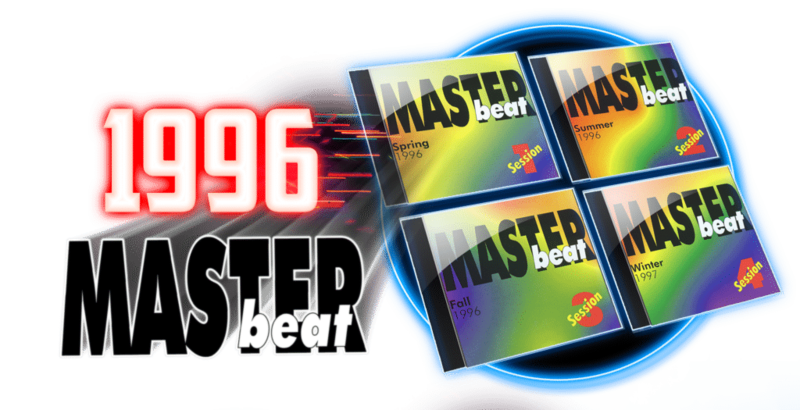 Masterbeat continued to grow as it secured major distribution for it’s CD series and becoming available at major record chains around the country including Virgin, Musicland and more. 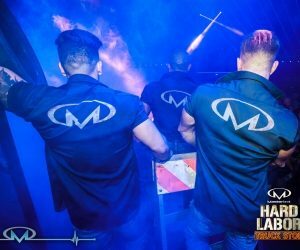 Masterbeat’s New Year’s events moved from Palm Springs to it’s now permanent home in Los Angeles and Masterbeat began producing additional events throughout the year including Pride. 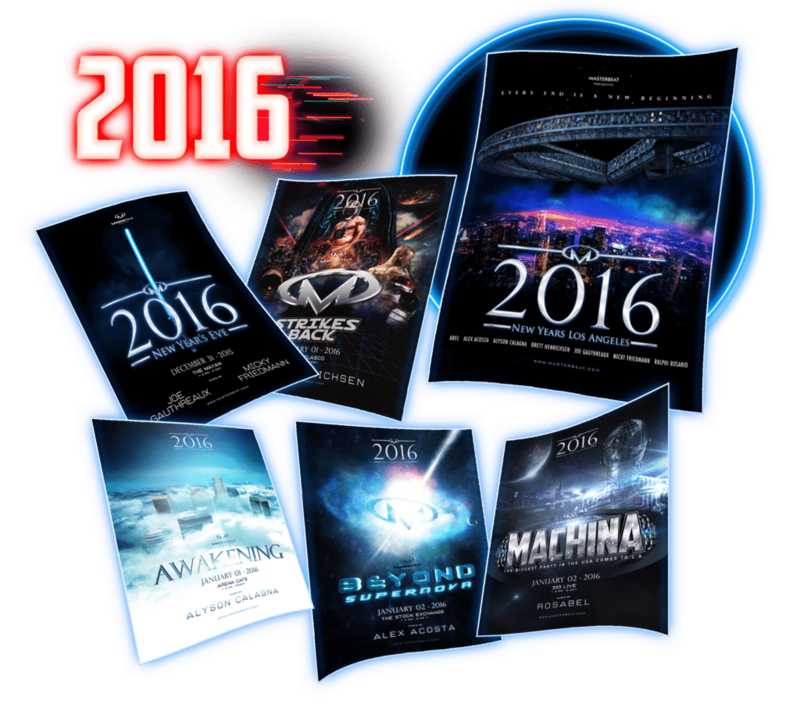 Masterbeat New Year’s grew with expansion to additional events at LA’s best nightclubs including Avalon and Stock Exchange with a massive main production at the Grand Olympic Auditorium, home of many boxing matches and the site of many film productions. 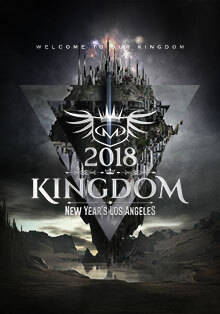 Once of Masterbeat’s largest New Year’s in history sold out the Hollywood Palladium over a week in advance with over 4000 people in attendance as Masterbeat introduced the concept of a live concert coupled with the dance event as Deborah Cox performed with a full band and delivered an hour long opening concert kicking off the night. 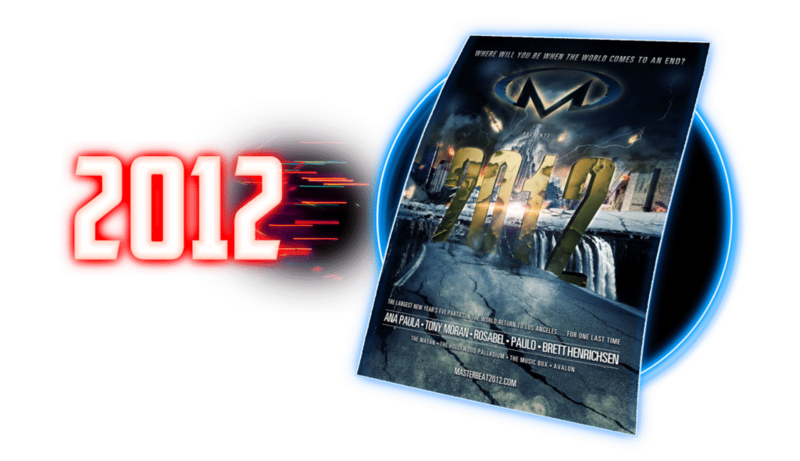 Masterbeat returned to the Palladium for another sold out New Year’s weekend in 2007, and later launched it’s “Where do YOU Masterbeat” ad campaign in preparation for the launch of it’s new music site on December 31, 2007. 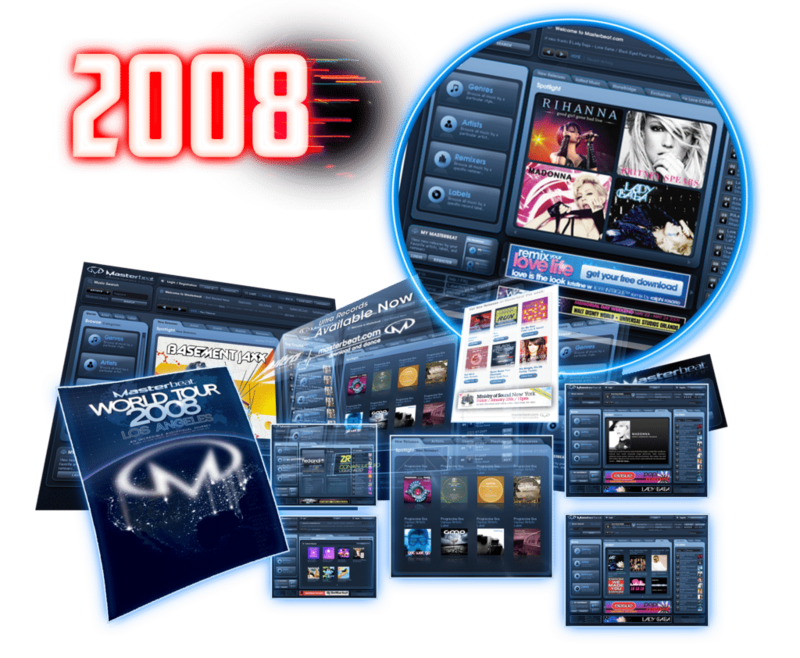 After two years of preparation, coding, and behind the scenes negotiating with the major labels, masterbeat.com launched as the only online music retailer to feature previously unreleased extended dance remixes from major artists and labels. At the time, Masterbeat joined iTunes and Rhapsody as one of only 3 online retailers to carry the entire record collection of every major record label from Sony, BMG, Universal, Warner and others and the only online music store to carry these collections in full uncompressed WAV quality – surprisingly making masterbeat.com a hit with classical music lovers even more than dance enthusiasts. Masterbeat.com would continue as a serious competitor to other retailers including Beatport for 3 years, until ceasing operations as streaming and lack of demand for purchased music drove many out of the retail industry. 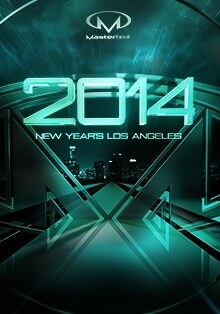 Masterbeat celebrated it’s 10th Anniversary of New Year’s in Los Angeles with “X”. Additional holiday weekend events were added as Masterbeat presented Basic Training over Memorial Day and Hard Labor over Labor Day. 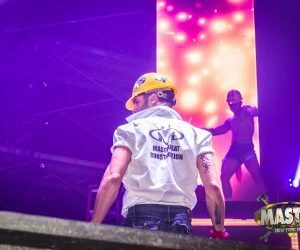 The popular Masterbeat “World Tour” came back with stops in Amsterdam for Pride and other major cities around the country. 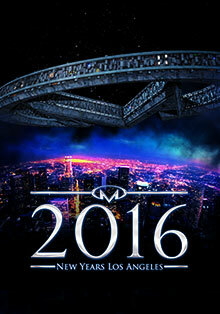 Masterbeat returned to the Hollywood Palladium for another massive New Year’s as we celebrated “the end of the world” with the widely panned disaster theory that the world was ending in 2012. It didn’t, and the music played on. 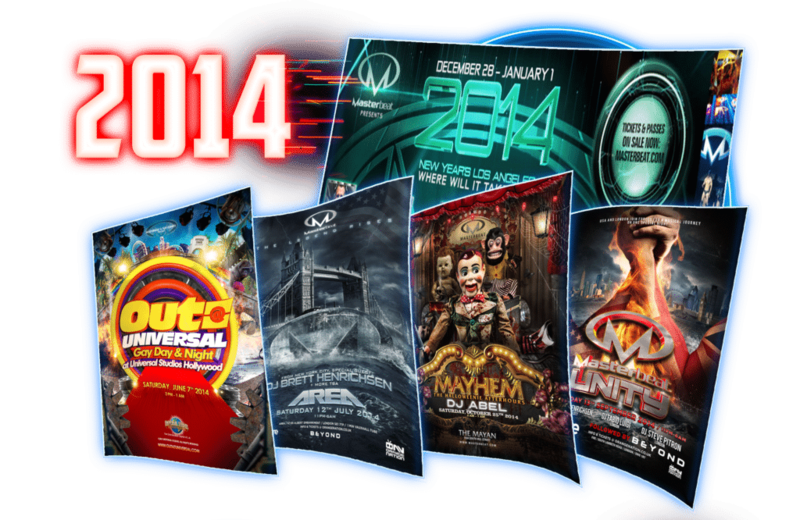 In one of the biggest years ever, Masterbeat produced events in London, Madrid and Mykonos and started it’s first of several years in co-producing “Out at Universal” as we took over all of Universal Studios Hollywood exclusively ours for the night with rides and attractions open alongside a massive dance event in a giant soundstage on the lot. 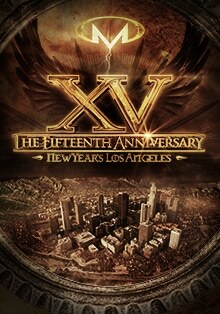 Masterbeat celebrated it’s fifteenth anniversary of New Year’s events with “XV” and a series of 5 events at LA’s best nightclubs. 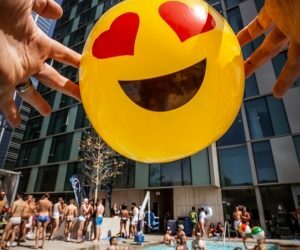 Masterbeat’s growth around the world continued with events in Orlando, New York, Miami, San Diego, San Francisco, Mykonos, London, Madrid and Tel Aviv.